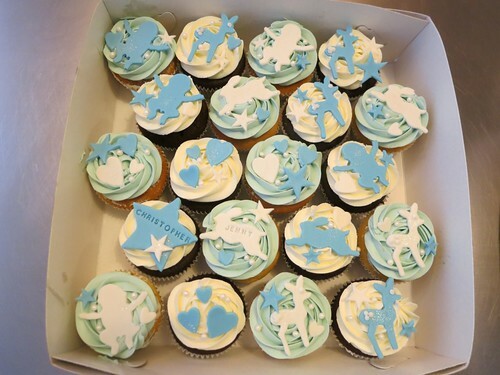 Baby Shower Boy Cupcakes, a photo by CAKE Amsterdam - Cakes by ZOBOT on Flickr. Cute Boy Baby shower cupcakes! FLAVORS : Vanilla cupcakes with baby blue lemon silky buttercream and Chocolate cupcakes with vanilla buttercream.